The WSL warehouse is a purpose designed temperature stable and secure wine storage facility. Clients can have total confidence that their wine will be treated with the respect and care it deserves. Our centrally located, purpose designed 11000m²+ facilities have monitored 24 hour security with a close circuit camera network and fenced perimeter which provides a safe and secure environment for our client's valuable wine. The WSL warehouse is a temperature stable facility. Our insulated and air conditioned warehouse provides temperature maintenance for long term storage of palletised wine. WSL have temperature charts available, for clients to view, that demonstrate the temperature stability. WSL has a covered, all-weather loading bay meaning that our clients stock is protected at all times and in all conditions. WSL can also cellar large quantities of premium wines in a temperature controlled dedicated space within the warehouse. 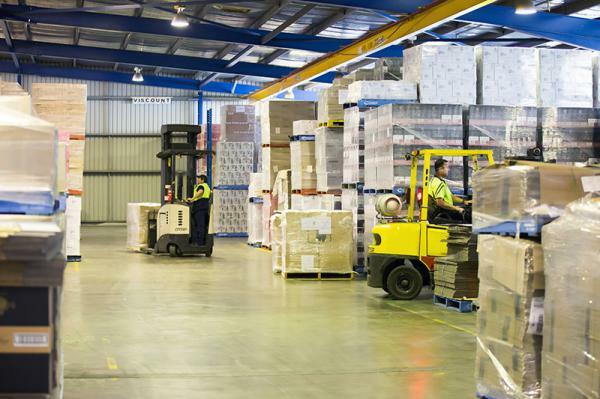 We have a large racked area which supports our efficient pick and pack service. WSL offer a full pick and pack service from single bottles, to mixed cases, and individual cartons. Our racking provides our warehouse team with ease of access to stock for mail order, promotional and restaurant orders. 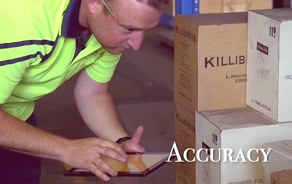 The pick and pack service is supported by WineTrack™, our online inventory management system, ensuring fast, accurate order consolidation for on time delivery to your customer. "We consider long-term partnerships with wine producers to be a key element of our vision"
Because no two clients are the same, we analyse our clients individual needs to find the best, most economical, purpose built solution for them. WSL has no hidden administration costs and offers competitive rates for long term storage commitments. We consider long-term partnerships with wine producers to be a key element of our vision. We welcome all existing and potential clients to inspect our facilities at any time.